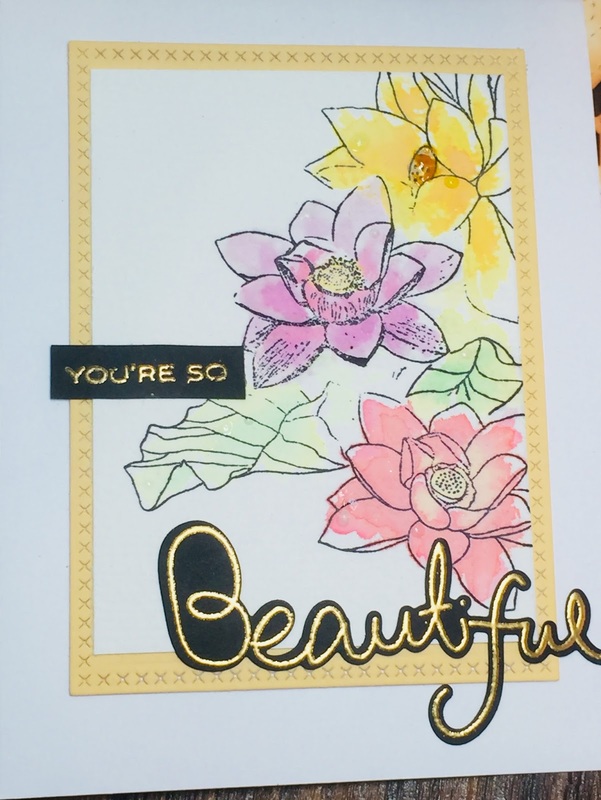 For this card I wanted to do some watercoloring, so I stamped with Altenew's Lotus Blossom on heavyweight watercolor paper, then watercolored using distress oxide inks. 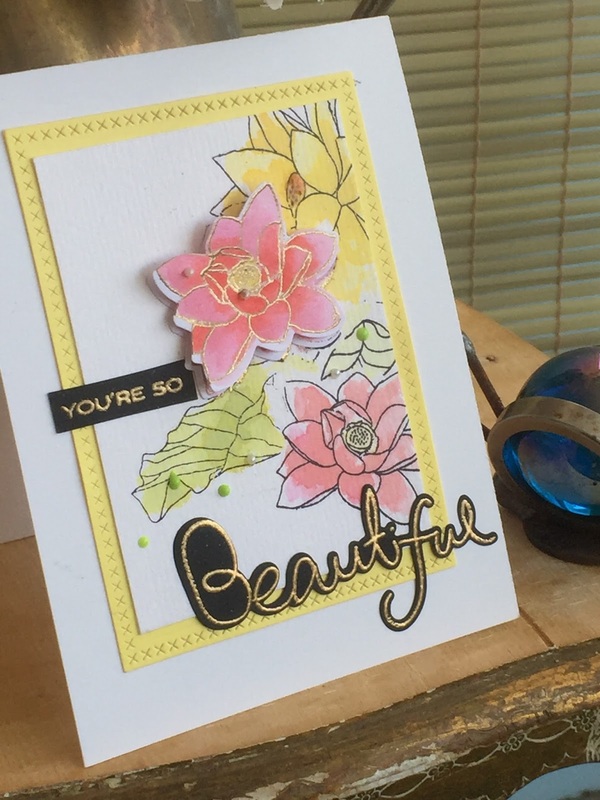 The sentiment is from Altenew's Simple Flowers stamp and die set. I stamped on black cardstock and heat embossed with gold powder. The frame is from Lawn Fawn, which I cut from yellow cardstock and mounted on Neenah solar white. For another version, I diecut one of the flowers, watercolored again with distress oxides, and popped it on top of the original stamped flower. I added some Nuvo drops and pearls, along with a few swishes of Wink of Stella. I'm going to enter this in Altenew's January Inspiration Challenge. this is so very pretty... love the watercoloring with the distress oxides!! Really pretty card. I love how you added the popped up flower. So pretty.